Spring is the perfect time to do sports. At least because the weather disposes to workout in the fresh air and waking up in the morning doesn’t seem to be dangerous for your health. So let’s put words into action. Here you can see 100 useful tips which will help novices to start and not to give up, and also will help professionals refresh essential recommendations in memory. You should warm up during the first 5 minutes of running. Slow down to prepare yourself for perspective. Learn to breathe deeply to maximise the oxygen supply in the organism. If you are trying to run at a certain speed, listen to music to set the pace. Running with someone who runs faster can push you to increase speed or distance. By the way, it’s also about running on the treadmill. If you are running upwards, concentrate on the top but not on the motion of your legs. It will help to find the second wind and to make your life easier. Raise the inclination angle of the treadmill to increase the number of burned calories. Only 5% of additional inclination will help you burn 100 calories. Change the route or the training whenever you become bored. Don’t run every day, combine cardiovascular exercises with strength exercises to strengthen your muscles. 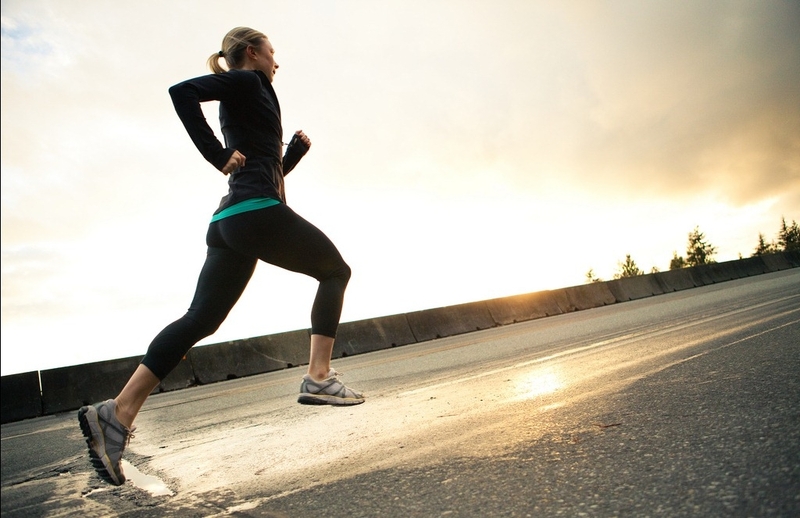 Work on your running fit to avoid pain in muscles and traumas. Follow the rule of 10%: never increase the distance of your run more than on 10% a week. On long distances remember that the second part of training should last at a faster pace than the first one. Stretch after each training to prepare yourself for the next one better. Make yourself train 5 minutes more, and you will burn 50 calories more. 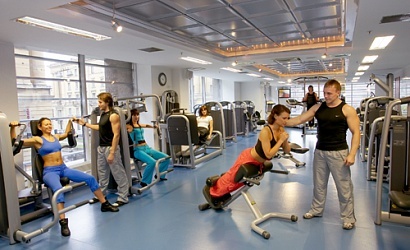 Elliptical machines burn the maximum number of calories. Increase the resistance and aim for 140-160 steps a minute. Interval training is useful not only for emotional cleansing. Apart from removing the walruses from your stomach, they also help you increase the speed and endurance. Intervals with high intensity help you burn more calories for less time. Try Tabata complex – 20 seconds of intensive training and 10 seconds of rest during the 4 minutes of practice. Mix cardiovascular exercises with training oriented on the one group of muscles. It will help you keep interested in preparations and make your body fit. If you want to lose weight, try 30 minutes workout which includes skipping rope and muscle definition exercises. Strength exercises. Do light cardiovascular training before strength one to reduce the risk of trauma and pain. The right position is always more important than the number of wraps. Use the mirror to check yourself every few minutes. If you want to see the desired result as soon as possible, arrange at least three pieces of training a week. To save time and burn lots of calories, do supersets – complexes of exercises which include working out at a quick pace without having rest. Don’t train only with dumbbells. Try all equipment, including weights and barbells. Moreover, don’t forget about the steps on the ground which don’t need any sports equipment. Researchers have shown that exercises with weights burn more calories than any other activities. Remember it. Work becomes more difficult if there is instability try standing on one leg doing a standard exercise. Practice multitasking. Not only build triceps but rise into bent standing position. Play with speed to keep muscles tensed. Raise the dumbbell quickly and lower it slowly. Or take a break during the exercise. Have 2-3 sizes of dumbbells near you to change them depending on the size of the group of muscles you are working. Add weight to see the progress. Your muscles should be tired after the second wrap of exercises included in your training program. Remember about the balance and load your back so much as you think will be right. Listen to your organism to avoid unpleasant consequences. The treadmill is suitable not only for running. At the slow pace, you can use for steps with ankle weights. Allow your body to relax. If your work on hands and pectoral muscles on Monday, then on Tuesday pay attention to legs and buttocks. While doing yoga, you should never feel pain. Truly understand your abilities to reduce the risk of serious stretching. Deep breathing in and out should be your primary aim. Use breath to direct your moves and to know how long you should be into asana position. Moving at your own pace is normal. Try to relax your fingers in the standing positions. Your attempts to grip carpet add an extra load on your legs. You can use the club’s mat firstly but if you want to continue doing yoga, better buy your own. It will help to avoid spreading microbes and bacteria. Take a small towel with you to dry the sweat from your forehead and put it on the top of the carpet to prevent sliding. Wear capri pants or leggings during training. Its material swallows up more sweat and makes doing some positions easier. Tell the instructor if his comments disturb you so you can’t concentrate. There is nothing wrong with that because yoga should make you relax. At the end of the yoga training try to do exercises with higher pressure to work out muscles. Choose more quick yoga, for example, Ashtanga Vinyasa yoga, to burn more calories and stretch well. To reduce risks, wipe handles and sitting of a training machine with an antibacterial napkin before the start of the workout. Don’t believe in the number of burned calories shown on the training machine. Use the monitor of heart rhythm for higher accuracy. As training descriptions tend to be vague, firstly watch how the training passes and just after that subscribe to it doing this you reduce the risk of choosing a too professional course for your psychical fitness. Work with different instructors to find one who motivates you the most. Sign up for training in advance to save time before it. Come to the practice at least 5 minutes earlier to choose a right place, forget about troubles and talk with the instructor if you need. If you are a novice, benefit from working with the professional coach are apparent. And I’m talking not about regular training; you can do it once a month to have somebody who controls the process. Choose laceless footwear if you workout on training machines which have pedals. It may have funny consequences, and it’s the better option. Wear training clothes under your everyday clothes if possible. It will not only save your time in the changing room but also allow to warm up your muscles. If you train early in the morning, experts advise to this on an empty stomach. But when you are going to have extended training, better eat something which consists of protein and simple carbs, for example, a half of banana and a fistful of almonds. Researches show that a small quantity of caffeine can help you improve your endurance, strength and speed. Before going on several pieces of training make sure that you have some food and snacks. Every intensive workout causes dehydration, so it’s necessary to drink 2-3 glasses of water before training. To prevent cramping, sip slowly, not swallow. You don’t need sweet beverages if you don’t train intensively for 1,5-2 hours. To compensate for lost energy eat 150 calories snack 30 minutes after the training. It will be perfect if the meal consists of carbohydrates and proteins in the proportion of 1 to 4. Chocolate milk is an excellent beverage to regain your strength because it not only has this proportion but also contains calcium which strengthens your muscles and bones. Get your sneakers just after the workout to have the correct sitting of your trained leg. Make sure that you feel comfortable in the sports footwear. Don’t be shy to run around the shop to test it. Write down the date of buying them on the inside of its tongue. It will help you tell when you need to buy a new pair, not only want to do it. While choosing the sneakers think about your sports needs, not about how it looks. In other words, if you train in the gym, don’t select footwear for runners just because you like the way it seems. Buying new training clothes try to do some exercises at home. For example, to find out if your bust will fall out of your sports bra during the first bending. The Wet-strength material is necessary for sports top, leggings, sneakers. It will help you avoid too much sweat, minimise redness and inflammation. Never wear two sports bra at the same time. If you need the bigger one, find a brand which produces sportswear for women with the right forms. As you probably don’t have the sports bra for every day of a week, always wash it in the shower after training. You should do the same at home. As soon as you see sneakers, sports bra or leggings you have always dreamed about, buy several pairs. Check the safety and effectiveness of your fitness equipment before each training. Buy an expensive yoga carpet; it won’t rip like some cheap carpets. Some of them even have the lifetime warranty. You can’t reduce the walruses in a particular area; you should work on all groups of muscles to see the progress. Researches have shown that physical exercise during the first part of a day helps to burn more calories as your body energy is at its peak at that time. If you want to lose weight as soon as possible try doing 60 minutes of cardiovascular you should training five times a week. We know that the interval training can reduce the amount of fat in your stomach and increase the metabolism. So in spite of working at the same pace during the whole practice, other slow and quick periods. Working on muscles burn lots of calories so you can combine cardiovascular and strength exercises. Let it be two 30 minutes courses during a week. Experiments have shown that person burns 400 calories for 20 minutes of training doing exercises with weights. It’s worth trying. Find a way to burn some additional calories during a working day. Walk on stairs, don’t use the lift, and walk around the cabinet during the conference in spite of sitting in one place. Running in the morning does not mean that now you can eat ice cream or fried potatoes. Eat the right food; it doesn’t matter if it is 150 calories snack or 500 calories dinner, there should be fruits, vegetables, proteins and whole wheat. Prepare everything in the evening, not only yourself self but also training clothes, earphones, bag and yoga carpet. Plan training for the whole week on Sunday taking into account business meetings and meetings with friends doing this you can pay attention to everything and the desire to stay home will disappear. Make your fitness diary to follow your progress and use it as additional motivation. Make a motivation bottle where you put notes with answers to such questions as “Why do you go in for sport?” and “Why do you like doing it?”. Read it when it is difficult to make yourself go to the training. Pay for your year subscription in advance, so there is no way back. Watch TV shows while running on the treadmill. But don’t do it at home so that the desire to know what happens with the characters pushes you to go to the gym. Share your success on the social networks. Comments from the friend and close people can motivate not less than accounts of famous fitness models. Write motivational notes on the colourful stickers and put them up at home. Put your yoga carpet or training clothes in a prominent place. It would remind you of some commitments to yourself. Sign up for a marathon or competition. If you have a tangible goal, it is much easier to train. Don’t like racing? Look deeper into yourself, and you will find significant goals which will control the motor. Use pedometer, devices and fitness applications, for example, Nike + which will push you to train when your activity reduces. Put money into your piggy bank after training. At the end of the month, you can buy a dress or a pedometer if you like. Never stretch before cardiovascular exercises, only after when you will warm up the muscles. If you don’t have enough time, stretch while taking the warm shower after training. DOMS(delayed onset muscle soreness) can occur 24-48 hours after intense training. If you feel pain or burning in muscles after the training, hold ice near the area of inflammation. You can prevent yourself from traumas doing exercises on the weakest muscles – buttocks and tibia. To prevent yourself from heel pain, stretch sitting, not standing. Days of relaxing are significant for these three reasons: they give your body time to recover and strengthen, help to prevent traumas and give you a psychological reboot.